I am extraordinarily good at losing flash drives, and I’m not sure why. Maybe it’s the simple answer: they’re small. Or maybe it’s gremlins, or Keebler elves. I’m leaning towards one of those, as I don’t usually lose any of my other personal effects. In this week’s video, I’ll show you the major components of that system. While we won’t go over some of the parts that were overkill (like having an iPhone app that gave me remote access to my desktop computer), we’ll look at the parts that had the most positive effect without needing a lot of effort on my part. 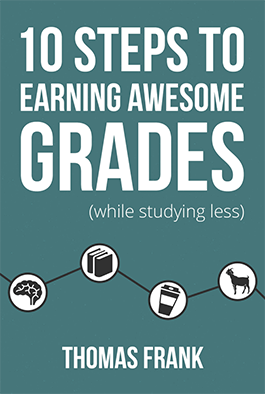 If you find that you forget assignments back at your dorm more than you’d like, or you have to spend an inordinate amount of time searching your desktop for EnglighFinalPaperVersion8FINAL-noreallyseriouslythistime-final.docx, then you should find this video to be useful. 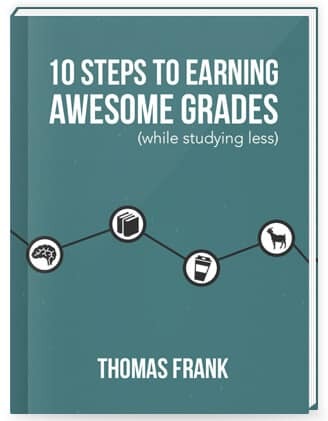 Organization is a huge topic, and you’ll find even more tips on it in Chapter 6 of my free 100+ page book called 10 Steps to Earning Awesome Grades (While Studying Less).